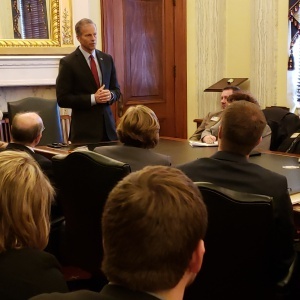 Members of Class X of the South Dakota Agricultural and Rural Leadership (SDARL) Program discussed policy and process during the State Government Seminar held in Pierre on January 29-31. 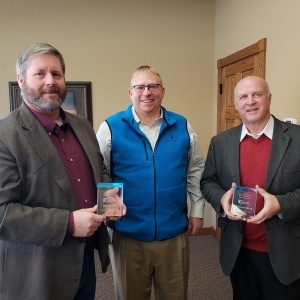 The first day of the seminar featured presentations and discussions with South Dakota Secretary of Agriculture Kim Vanneman and State Veterinarian Dr. Dustin Oedekoven. 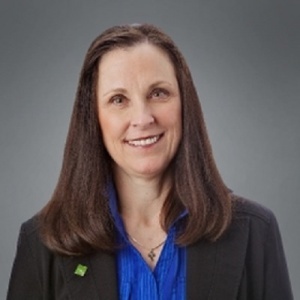 Secretary Vanneman is a graduate of the SDARL program, and talked about the organization of her department and the direction for agriculture as a leading economic development driver in the state. The day concluded with a presentation by Chris Nelson, a Commissioner with the South Dakota Public Utilities Commission. On the second day of the seminar, Silvia Christen, a SDARL graduate and former Executive Director of the South Dakota Stockgrowers Association, presented class members with baseline strategies for understanding the workings of state government. 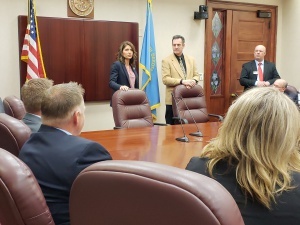 The class met at length with Governor Kristi Noem and Lieutenant Governor Larry Rhoden. 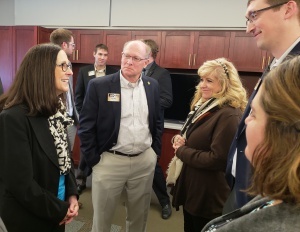 The Governor emphasized the visibility farming and ranching will have in her administration, and the role that SDARL graduates and class members will have in leadership. The second day also featured a presentation by Jeremiah Murphy, an agricultural lobbyist, on the educational role of lobbyists in the legislative process. 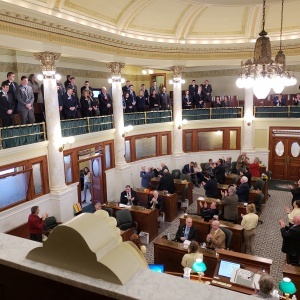 Following recognition and receiving standing ovations in both the South Dakota Senate and House Chambers, SDARL class members concluded with a Legislative Banquet attended by more than 40 lawmakers. The banquet featured motivational speaker and newly-elected State Senator V.J. Smith from Brookings, author of the book The Richest Man in Town. On the final day of the seminar, SDARL Executive Director Lori Cope discussed civic engagement and mentoring programs that will move class members into their communities to mentor with current civic leaders. Kelly Hepler, Secretary of the South Dakota Game, Fish and Parks Department, discussed the jurisdictional areas of his department. The day concluded with a Rural Resources Panel and group discussion with Joe Fiala of the Governor’s Office of Economic Development, Cheri Rath, Executive Director of the South Dakota Value Added Ag Development Center and a SDARL graduate, and Dr. Nathan Sanderson, Executive Director of the South Dakota Retailers Association. ©2018 SDARL. All rights reserved.